Secret Scuba for MLC - the Finale! 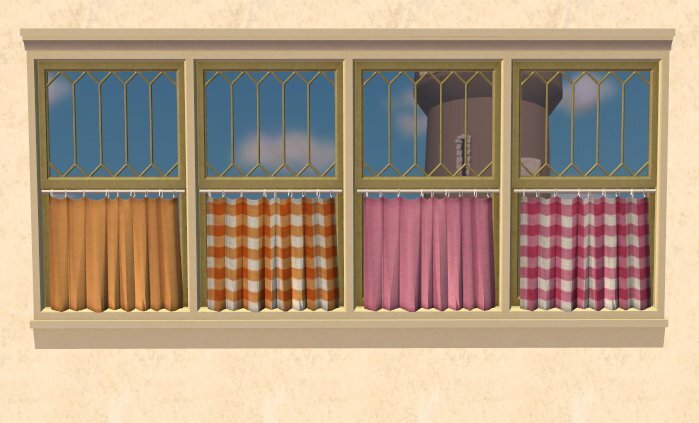 21 Plain and 21 Gingham for both the Cafe Curtain and the standard curtain (this recolours lots as it's repositoried). 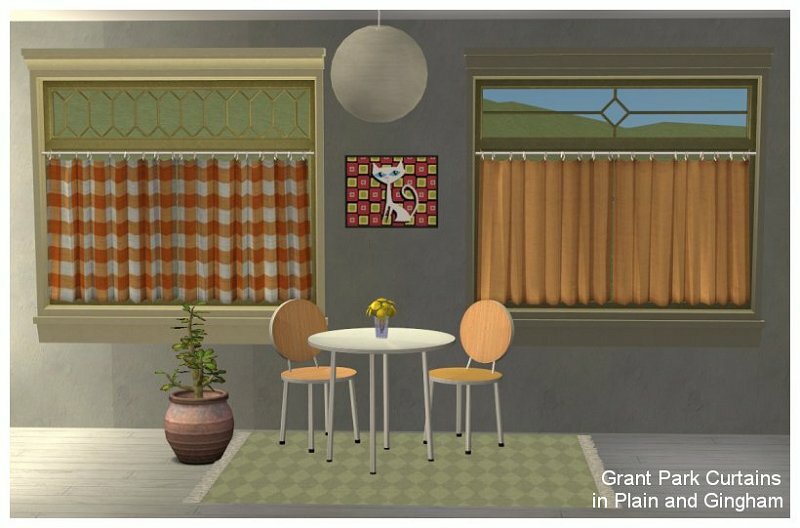 And my CiJ recolour of the Jonesi Blanket for the rug. 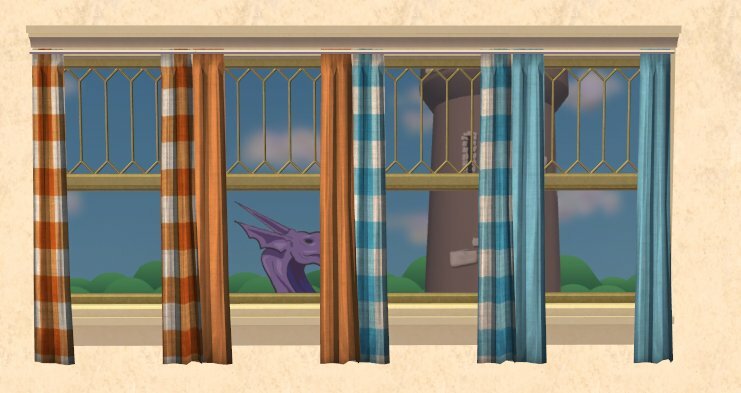 I use these curtains all the time - lovely!